Gaming blogs are ablaze with the news that Dave Trampier, famed illustrator of AD&D and the comic Wormy, has died this week. I, like so many old school gamers, was always a fan of his artwork from the start. His illustrations weren't hard to spot; they're always so expressive, alive and ready to jump of the page. Trampier's abrupt disappearance from the industry never dulled my appreciation, it may have strengthened it in fact. Much like a rock star who died too soon and their music lived on in legend, when Trampier left it all behind, it only made his existing art more iconic because we all assumed (rightly) he would never be back. I for one am personally grateful for his short time in the business, because he is easily one of the most influential artists to me as a cartoonist and also as a life-long D&D player. It's been a slow month for me, but I'm finally ready to promote page twenty in the second chapter of our ongoing Castle Greyhawk graphic novel. Follow the links above to get integral dialogue from fiction scribe Scott Casper. Alternatively you can view the pages HERE, courtesy of Maldin's Greyhawk. Artist's Commentary: It's hard to believe we're already up to page twenty again. In total we've done a whopping 55 PAGES of Castle Greyhawk comics. Not bad! I have thoroughly enjoyed pouring over alphabetical lists of people, places and deities a couple weeks back. Now it's time to look at some magical items (and artifacts) of a Greyhawkian sort. I hope you'll enjoy. Read on! Anvil of the Lortmil Mountains: Not an item I've used before but my it's one that any dwarven player would want. From Greyhawk Adventures, this anvil makes fine quality items which the book says is x100 value. That's a huge money maker! Black Sails of the Schnai: Another Greyhawk Adventures item (it's my go to book), the Black Sails was always my favorite item in that book because of its Viking feel; a dead warrior is burned at sea and a scrap of this sail is kept so that his spirit can be called to fight again (as an einheriar). Who wouldn't want their character to have this sort of funeral? Codex of the Infinite Planes: Here's an artifact that needs no introduction. I've never used it in a campaign that I recall, but I have used it plenty in my comics. In case you're inclined to go epic, there is no better source for Codex info than at Maldin's Greyhawk. Dreamsinger: One of the five missing Blades of Corusk, this was the sword that gets the story going with its cryptic visions. I enjoyed Five Shall Be One and Howl From the North (except the end, no spoilers). Maybe someday I'll rework this for a new campaign. Eye of Vecna: Another artifact that needs no introduction. I used to throw Vecna into my games so much in the 2e era that I had to swear him off for a decade or so. Perhaps the time is right? One of things I like about the Eye (and the Hand) is how a person has to remove his eye to use this item. In a game full of rules for everything, there is no game application for self-mutilation like this, but I'm sure it'd take intense willpower to rip your own eye out. Greenswathe: Another of the five Blades of Corusk. I only bring this one up because it's an oddity among the adventure for being a scimitar. It's the only thing in the two adventures that sort of belies the viking feel. It is described as alien and arabesque, as well as being made of a golden metal with adamantine hardness. I guess much like the Vikings, the Thillonrians traveled to the Baklunish lands. Heward's Handy Haversack: Is there a more ubiquitous magic item from Greyhawk than the Haversack? Later editions still use this item yet without his name attached, but we all know they are just like knock-off purses. Iron Gauntlet of Urnst: Here's a gem of an item from GHA that I used on more than one occasion. Back in 1e/2e pummeling rules were slightly different than standard combat so the introduction of the Iron Gauntlet gave a great advantage (nevermind what a monk could do with it). Each hit you rolled on a small chart, gaining anything from a glancing blow (1d6 dmg) to a crushing blow (4d6 dmg + stun). Not too shabby. Johydee's Mask: This is a minor relic from the old DMG that I never used but always intrigued me. Among its powers is changing into any humanlike creature, immunity to gaze attacks and mental reading. Hm, if any of my players are reading this, please disregard this entry. Keoghtom's Ointment: Heward isn't the only quasi-deity who made functional items for all. Keoghtom's special healing balm has stood the test of time in D&D. Lendor's Matrix: A strangely obscure artifact from the Scarlet Brotherood. Kevelli Mauk, founder of the Brotherhood used this hour-glass object to stop time and travel to the furthest border of the Suel Empire before the Rain of Colorless Fire took it. I don't think there is any official rules on this potent item, but if it can be found in a campaign it's surely held within the brotherhood's capital of Hesuel Ilshar. Murlynd's Spoon: Ah yes, more utilitarian magic from Greyhawk's famous quasi-deities. For those who don't know, the spoon keeps creating barely edible (yet nutritious) gruel in empty bowls. With this, the haversack, the ointment and maybe a decanter of endless water, what more does a traveler need? Nolzur's Marvelous Pigments: Nolzur is one of those lesser known personages of Greyhawk, but he does have an artistic theme to his magic, and that's a rarity in D&D. These paints sound hilariously fun and if you haven't read the entry in the 1e DMG I suggest you check it out. Basically whatever you paint on a 2D surface becomes real. Like a pit or door. It's like being Bugs Bunny! Orbs of Dragonkind: Everyone knows about these artifacts partly due to the success of the Dragonlance Chronicles. However, when Roger E. Moore gave them an origin story in Dragon #230, it took the items back for Greyhawk in my opinion. The Purple Stone: I will admit, it wasn't easy finding a "P" item, so this one will at least be interesting. It's not an item so much as a location in WG5 Mordenkainen's Fantastic Adventure (and Dungeon #112 Maure Castle). Not to give too much away, but if the stone can be found, it will impart visions or powers to worthy PCs. Let's hope that is enticing enough to get my game group back in Maure Castle. Quiver of Ehlonna: Not to be outdone by Heward, the goddess Ehlonna decided archers don't have enough arrows so she created an item that makes counting ammo almost superfluous. Razor Claws of the Chakyik: I love all the items in GHA because their origins are from all corners of the map. This item in particular turns your PC into freaking Wolverine! As expected, this is a pair of gauntlets with 4 curved daggers attached. The damage isn't 4d4 however, it's a paltry 1d6+2. Who cares? Think of the coolness factor. Sureguard and Swiftdoom: Without a doubt, Kelanen the hero-god of swordsmen has the two best sentient swords in the game. I especially loved using these two swords in my old Greyhawk comics. Theorparts: These are the three numinous objects that when assembled, can free Tharizdun in Gygax's novels. They were apparently never meant to be translated over to the game setting so anyone wanting to follow this dangerous path must consult this old source which has the best info on the Theorparts. Unopenable Doors: Another alphabetical cheat from Maure Castle. The doors are magical and they are objects, but nothing a player could possess. I always found it funny how the beginning of WG5 was at times harder than later portions. Indeed, if you can't open the front door to the dungeon, it's over before it begins! Viper of Hades: Here's a deific magic weapon. The whip of Pyremius, god of murder and fire was featured in Dragon #89 is a nasty poisoned weapon which ignores dwarf, gnome and Halfling saving throw bonuses. Ouch! Wand of Orcus: There are few D&D players who haven't heard of the demon-prince Orcus. His skull wand is one of those uber-artifacts in AD&D that just ignores the rules. If it touches mortal flesh you are dead. Period. Oh yeah, it may have other powers as well according to the Monster Manual, but does Orcus really need it? Yatil Wand of Zooming: Speaking of weird, this wand from GHA is quite different as well. It was originally devised to speed up travel from mountain to mountain. Yes, nothing bad could happen here. The wand can hurl a person, willing or not, at high speed. How they land is their own problem. Zagyg's Spell Component Case: To finish out the list is another fittingly useful item made by the great Zagyg himself. The case as you would expect is an extradimensional device that conjures up whatever spell component you need when you reach in. If only they made dice bags like that. It's been fairly calm over at Wizards since playtesting ended for the next edition of D&D. Today however, they have posted a nice nostalgic article by Shannon Appelcline titled Dungeoneering & The Art of War. This retrospective takes us through the history of mass combat systems for D&D (War Machine is my fave). It's quite an interesting read, so check it out! So, the last week was very, very busy for me. Now that I'm relaxing at last I thought I'd share a couple Greyhawk related pics. First off, in the process of rummaging and rearranging things I found these novels, none of which I've read before. I know a friend gave them to me, and given their perfect condition I doubt he read them either. Alas they have "Greyhawk" at the top so of course I had to keep them. The one that intrigues me the most is Keep on the Broderlands. I know B2 is not an official Greyhawk module yet I've watched people in the community discuss its placement in the setting on many occasions. I wonder now where Ru Emerson placed it? That brings me to another point. 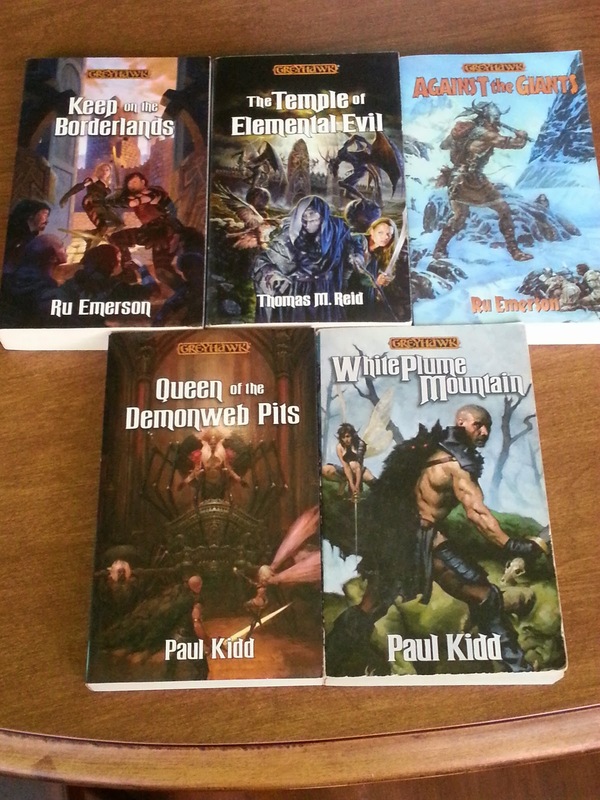 I know these novels all have classic Greyhawk adventure titles but how do they rate on the canonicity scale? From 1 being Rose Estes to 10 being Gygax. If anyone has read them I'd be happy to hear a review. Finally here is a pic showing off my long, overdue hard work. My Greyhawk stuff has always been scatter shot all over the place in various piles as I used and accessed them for whatever purpose. I'm the type who lives with organized chaos. Once in a great while however, I'll start over. 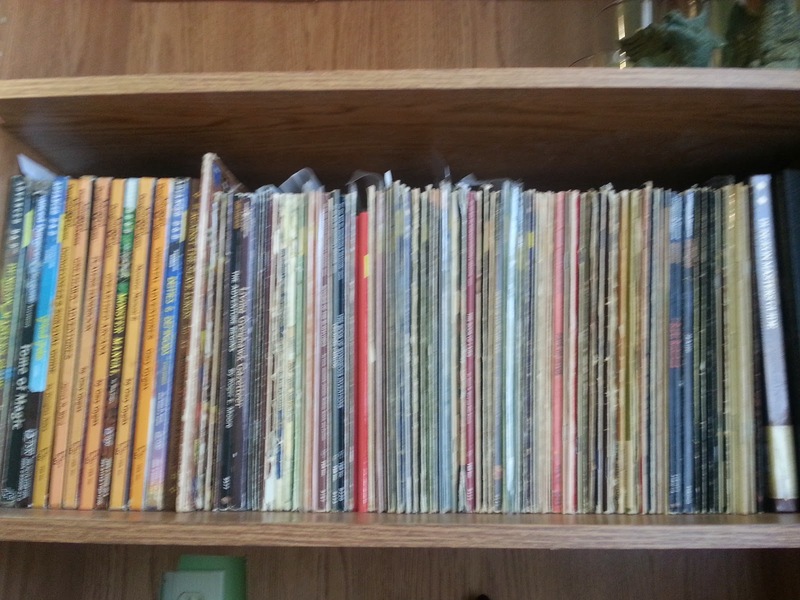 Other gaming stuff aside, I dedicated one shelf to all my AD&D, Basic D&D and Greyhawk material. The modules in particular are in order of product code from the popular A series all the way to X10 Red Arrow, Black Shield. Now I can start figuring what holes I have in my collection. Not shown here is my some of my prized boxed sets, rough but still in one piece, for the World of Greyhawk setting, Greyhawk Wars, The City of Greyhawk and my personal favorite, the Basic Rules set with the Erol Otus cover. In this rummaging I found some good material to post about on this blog such as, digging through my stack of old RPGA Polyhedron magazines. Until then keep mine Greyhawk! Click to enlarge, sorry for the quality. What you are seeing is parts of an elvish map I once made long ago for a time travel adventure I was setting in ancient pre-cataclysm times. This is the era of the Suel Empire, Vecna's Spidered Throne, plus many other Flannae and Olven realms. The nature of the adventure is entirely lost on me but I think it had something to do with Darnakurian, the elven prince of the Adri Forest who creates the sword Hunger (see Ivid the Undying). 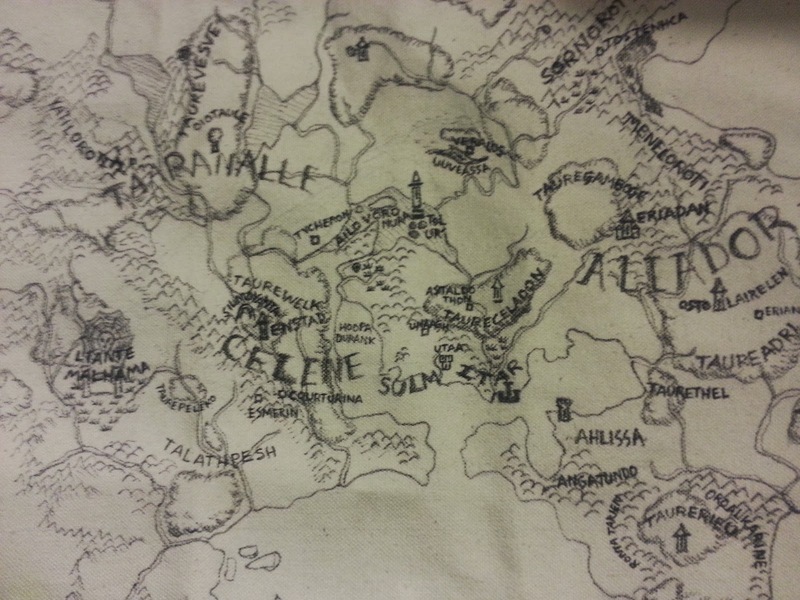 To aid in making a map suitable for this lost age I drew on Tolkien elvish for naming conventions. I don't claim these place names mean anything accurate in elvish but they all sounded good at the time. In fact, I have long since forgotten which notebook the translations are in. Ah well! Furthermore, like all good DMs, sometimes the preparations outdo the execution. 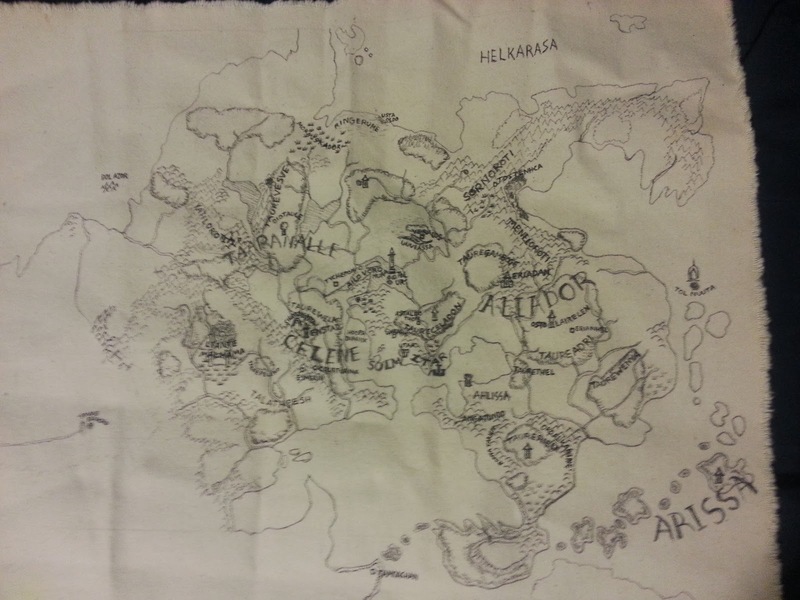 While the campaign never took off, I carefully illustrated this map on a rolled up piece of canvas. Not a technique I'd recommend, but the effect looks quite nice when you hand it out to players. Flan kingdoms Itar, Sulm and Ahlissa are all represented. ﻿﻿It looks like I had four main elven kingdoms in Taaranalle (Vesve Forest and the north), Celene (still present day Celene) in the west central, Arissa to the far south east (Lendore Isles) and Aliador in the east (home to Darnakurian, Queen Sharafere and so forth). There are six main cities of the elves with Eriadan as the capital, nestled where the Gamboge Forest, the Rakers and Flinty Hills meet. A spider throne is seen in the eastern swamps titled Liante Malhama. I can only imagine what that means). For the those really into ancient Greyhawk lore I also managed to label minor spots of interest like Esmerin, Tostenhca, Veralos (on the edge of the Rift) and Tycheron (home to Kas). Where the Keoland plains sit I have the elves labeling it Talathpesh. Guess what that's supposed to be. Lastly there's a couple island spots like Tol Ur' an easy one. The Isle of Woe is where the Ur-Flan once messed around with dangerous things. Dol Azor (probably an anachronistic reference to the hero Azor Alq's isles) and Dol Nuuta which may or may not be some other sunken civilization. There's a lot here to digest. I'd love to have a second attempt at this ancient map knowing what I know about Greyhawk canon today. This was made quite a long time ago so I know canon and fanon wouldn't entirely mesh with this map. That's all for now. Enjoy! Reprint Mania: The last couple years, Wizards' reprints of AD&D rules and classic Greyhawk modules have been a deliberate attempt to reconnect with old school fans and from my own anecdotal point of view it seems to have worked, in at the least got everyone's attention back on them. Along with the protracted release of many out of print books for sale on PDF, this has kept the D&D brand alive while 4th Edition was largely a lame duck outside Dungeon and Dragon (also defunct currently). My opinion is they should and likely will continue to trickle out more Greyhawk reprints (mainly since there are still plenty to go) and PDFs. This coinciding with their own "retro" rules edition makes sense, that is until 5th Edition is established (and Forgotten Realms has jelled again). Sooner or later reprint mania will end. My wish? While they are so busy reprinting already written publications, why not ACTUALLY print the one Greyhawk book that didn't get to paper, Ivid the Undying! I guarantee a real printing of ItU would end up being the biggest selling Greyhawk book of the last 10-15 years. And who knows? If it was successful they might consider doing more sourcebooks again. Revived Setting: Every Greyhawk fan's favorite topic during an Edition launch. We got snubbed (or lucky depending) during 4th Edition. Plenty of articles and cameos in other books. Mordy even got a book of magic items in his name. There hasn't been any substantial talk yet of doing campaign worlds in 5th, though it looks to me like the climate is better for that to happen to Greyhawk. The very fact it was skipped in 4e tells me they were saving Oerth for something more fitting, like say, a retro-rules system. Of course any relaunch of Greyhawk would be daunting for those in charge. In past eras it was easy to just advance the timeline a bit and continue writing. Now you have an ungodly amount of Living Greyhawk material to consider, Paizohawk (Paizo's wild run on Dragon and Dungeon magazines with Greyhawk info) and also a near 15 year span since the last Gazetteer. It might be easiest to wipe the slate clean and start over sans those sources. I wouldn't bet on Oerth being rebooted however, since that would confuse all the prior published material that Wizards has been steadily re-releasing. Their impulse to remake things like Temple of Elemental Evil or the Tomb of Horrors with new endings or plots would be a natural move and likely lead to two parallel timelines with subtle yet growing differences. The farther I look into the catalogue however I see opportunities to right wrongs in Greyhawk canon. The prospect sounds both exciting and troubling to me. Community Voice: One of the reasons Greyhawk got picked up and dusted off at the turn of the century was a strong fan community proved to the company that they deserved to be published. In this day and age, there's plenty of avenues online for people to support Greyhawk and if we're lucky, crowd-sourced for our input. In my opinion, the window for a true Greyhawk revival is closing. 5th Edition wants to harken back to the D&D we all loved when Greyhawk was iconic. If this edition is a repeat of the last, then who will be left to care when 6th Edition rolls around? Wow, I totally dropped the ball here. 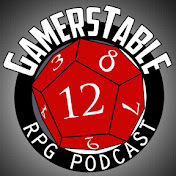 I need to catch up on promoting TWO issues of Castle Greyhawk! Today I'm featuring page eighteen and nineteen in the second chapter of our graphic novel. Follow the links above to get vital plot details from staff writer Scott Casper. Alternatively you can view the pages HERE and then HERE, courtesy of Maldin's Greyhawk. Artist's Commentary: Page eighteen had some interesting angles. I like when the views come at you from all sides or above. This issue we get another rare look at Tenser with his helmet off. Early canon pictures of Tenser have him in a helmet but as he gets into uber-wizard levels he then goes without one (and ditches his moustache). Whether we'll follow this path, only time will tell. Page nineteen was fun to put together and rightly so as the guys are enjoying (most of them) their break in the action. I on the other hand am looking forward to seeing where Gronan and Drake go with this plan of theirs. Either way, the riff-raff are now all gone or locked away, it's down to just the key characters in the story!